Winter Wonder Man Blog Hop . . .
What warms you up faster on a cold wintery night than a deliciously hot romance hero? Believe me, when temperatures here in my home state of Michigan dip down to a -40 wind chill (Baby, that’s COLD outside!) there’s nothing I’d rather do than stay inside with a warm cat and a sizzling book boyfriend. 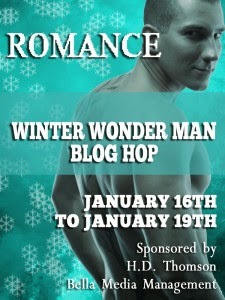 Just in time to save you from frostbite, join me and 57 author friends in the Winter Wonder Man Blog Hop! As the clock strikes midnight and ticks toward a New Year (or now more realistically 10:00 p.m.) I start making resolutions for the upcoming 12 months. Years go by. The categories on that list remain the same. Health, finances, personal, spiritual, family, and professional. I’m embarrassed to say, many of the expectations are carried over, unmet. Still haven’t lost those stubborn pounds (actually, they’ve been lost and found again!). No condo or flush 401K. 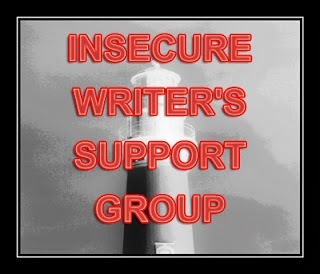 Haven’t retired to live off my writing income yet. The time I wanted to spend with my family, friends and beliefs has trickled away. Okay, I knew going in those were looooooong term plans (In my lifetime, please!). What has changed over time aren’t the end results I’m shooting for. They’re the specific and ever changing steps I need to take to get there, especially in the professional category. Few books have had me pacing with anticipation. The Smuggler Wore Silk is one of them. I LOVE historicals and regencies and adventure and pull you right in and never let you go sneak peeks. And if that isn’t enough, there’s the book trailer teasing me into a One Click frenzy. My only regret is that the book wasn’t released until today. If it had come out yesterday while blowing snow and -30 wind chill gave me the day off work, I would have been finished with it by now and I would have had a review for you. Instead, I’ll let debuting author Alyssa Alexander coax you between the pages with her answers to my 20 Questions and tempting glimpses of the book in question.